Ten tiny tadpoles wriggling in a line. One went chasing dragonflies, so that left nine! 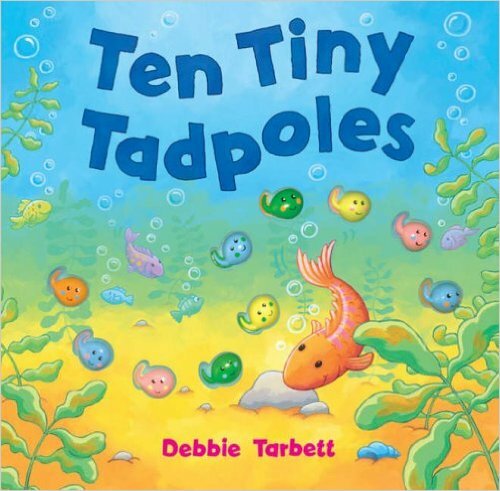 This counting book follows the adventures of these bright, bold, 3D tadpoles with a pop-up page at the end.